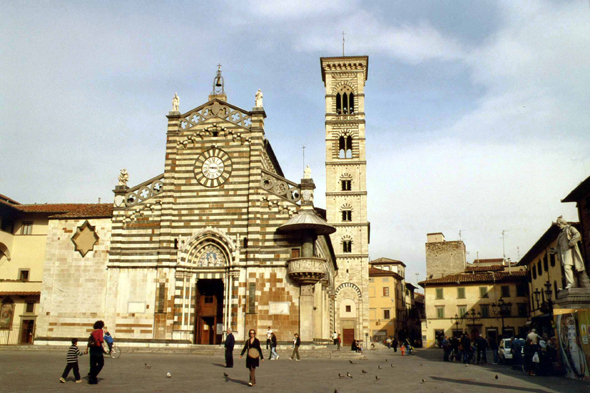 The Duomo and its campanile in the Prato. The cathedral of Roman-Pisan style is remarkable by its craftsmanship. It possesses an outside chair dedicated to the Santo-Cingolo. The chair is covered with the Dance of the Putti, a work sculpted by Giovanni Pisano according to a painting of Donatello. Are inside the frescos of Paolo Ucello.